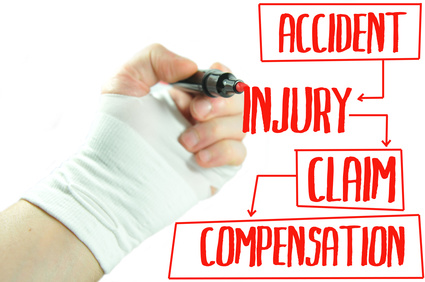 If you are injured on the job, you have certain rights, benefits and responsibilities. Your employer also has obligations and responsibilities regarding all employees. The main focus of any business where an employee is injured on the job is to assist those workers in receiving immediate and quality medical care, to administer workers’ compensation claims from the initial injury until the closing of the claim and to safely return lost-time employees to productive employment. Accidents are classified as being either catastrophic or non-catastrophic. Catastrophic injuries are those involving amputations, severe paralysis, severe head injuries, severe burns, blindness or of a nature and severity that prevents the employee from being able to perform his or her prior work and any work available in substantial numbers within the national economy. In catastrophic cases, you are entitled to receive two-thirds of your average weekly wage up to the maximum allowed under the law for a job-related injury for as long as you are unable to return to work. You are also entitled to receive medical and vocational rehabilitation benefits to help in recovering from your injury. In all other cases (non-catastrophic), you are entitled to receive two-thirds of your average weekly wage but not more than the maximum allowed under the law for a job-related injury. You will receive these weekly benefits as long as you are totally disabled, but no longer than 400 weeks. If you are not working and it is determined that you have been capable of performing work with restrictions for 52 consecutive weeks or 78 aggregate weeks, your weekly income benefits will be reduced to two-thirds of your average weekly wage, but no more than the maximum allowed under the law, not to exceed 350 weeks. Georgia developed it’s workers’ compensation system as an insurance program to help employees who have suffered an on-the-job-injury. On-the-job-injury means the employee must have been injured during the “course and scope” of their employment. If so, workers’ compensation may be required to pay for the employee’s medical benefits and part of the employee’s average weekly wages, otherwise known as “income benefits,” while the employee is recovering from their workplace injury. If you were injured during the course and scope of your employment, contact Blake Scoggins, LLC to evaluate your claim and protect your right to compensation. This entry was posted in Uncategorized and tagged Blake Scoggins Law, catastrophic accidents, hurt on the job, injured at work, Injured on the job, non-catastrophic accidents, workers comp, workers compensation, workman's comp. Bookmark the permalink.